through the end of January 2016! 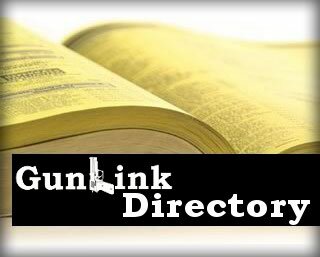 The GunLink Directory has three listing levels: Free, Gold and Platinum. Create a Free directory listing (using the Add Listing menu item here) and we'll upgrade it to the $29.95 Gold listing level for one year. Create a Gold directory listing (using the Add Listing menu item here) and we'll upgrade it to the $49.95 Platinum listing level for one year - the most bang for your buck that includes more business details, search engine boosting "do follow" links to your site and more. Just create your listing and get in touch with us (post in this thread or send us a site PM) to request your upgrade. You can also tweet to us @GunLink. If you already have a Free or Gold listing in the GunLink directory, you can still take advantage of this offer to upgrade your listing by one level. Same upgrade request process as above applies. Listings will be upgraded for one year. Unless renewed at the regular price, listings will revert to a free listing at that time. Attending SHOT Show but not exhibiting? We know there's a wait list to get a booth at this massive show! Get in touch with us during the show via Twitter, Facebook, or Instagram to arrange a meet-up with us and we'll give you the same upgrade deal! Please note that the GunLink Directory and the GunLink Forums registration systems are separate. You will need an account on both in order to create a directory listing and post on the forum. Re: Special GunLink Directory Deal for SHOT Show 2016 Exhibitors - FREE Upgrade! We are ready to share this great comment with other people.